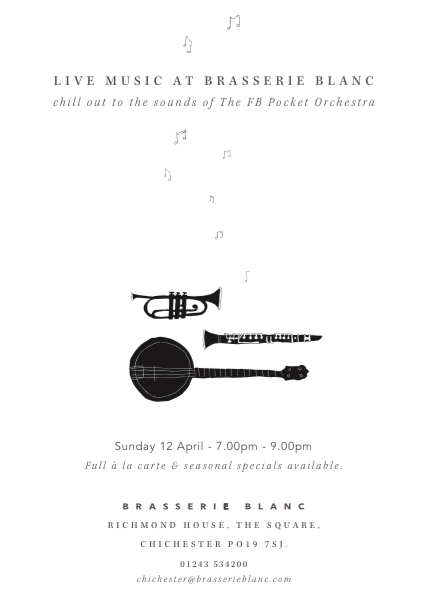 Join us on Sunday 12 April from 7 – 9pm and enjoy our delicious Spring menu alongside the chilled sounds of the acclaimed Facebook Pocket Orchestra. They were so popular when they played at our Charlotte Street brasserie in London that we couldn’t wait to book them to visit us. So join us chez nous for the perfect end to the week.